Amanda Aimson has been a fully qualified Driving Instructor in Macclesfield for 20 years. She understands the psychology in learning to drive. Her patient approach & vast experience enables her to explore individual learning needs & adapt them into structured lesson plans. Amanda is fully aware of differences in learning speeds & confidence levels, having successfully worked with nervous pupils from 17 to 74 years old. 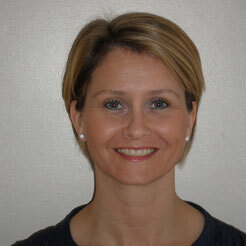 She uses a calm & friendly teaching style to relax pupils which is a proven learning method. High 1st Time Pass Rate – Amanda’s 1st time pass rate stands at 78.13% for the last 12 months. This compares to the DSA national average of 42% total passes rate. For more details click here. Top Grade 6 Instructor – Amanda has been awarded the highest Grade 6 by the DSA for the standard of her teaching skills as a Driving Instructor. She was awarded the Grade 6 in 2011 and joins the 5.5 % of UK Driving Instructors currently at this level and will happily show you her certificate when requested. Amanda was born and grew up in Tytherington where she lives today. She started her own driving school in 1999 and quickly gained a reputation for providing quality tuition in the Macclesfield area. In 2003 Amanda advanced her teaching skills by taking a position at The Instructor College where she taught trainee Driving Instructors which required passing the Cardington Advanced Driving Test. In 2004 Amanda took up a franchise with the AA and subsequently set up her own driving school again in 2005. Now in the 12th year as Amanda Aimson Driving School, her passion and enthusiasm for her work has established Amanda as one of the best quality Driving Instructors in the area.